Transplant nursing involves working with both the donors and receivers of organs that are intended for use in transplant surgery. The transplant nurse will speak with the donor and ensure that he or she understands all of the risks involved, as well as playing an active role in the recovery of both the donor (in cases where the donor is alive) and the recipient of the transplanted organ. A transplant nurse can also assist in the actual surgical transplant procedure. Take medical histories: This will help you determine whether or not the patient is in a condition to receive a transplant and if the donor has organs that are likely to be viable for transplant. Order lab tests to confirm an organ match: Transplants can only occur between people who have very similar DNA; often the first people you will test, in cases where living donors are options, are the patient’s family members. Clear patients and donors for surgery: It will be your responsibility to ensure that both patients and donors are in a physical and emotional state suitable for the transplant to occur. Monitor patients’ vital signs after surgery: Transplanted organs can be rejected by the body and the time immediately after surgery is critical in terms of the patient’s well being. As your skills as a transplant nurse are extremely specific there are not a large number of locations in which you can be employed in this capacity. Transplant nurses work in hospitals and clinics with transplant centers. In addition to this a transplant nurse may be actively involved in finding people who will be donors to the extent that he or she makes house calls on potential donors, visits people in hospitals, and gives presentations on the subject. As you will require an RN license in order to work as a transplant nurse, you will also required to have the basic RN skills that are necessary in order to earn that license. Consequently you will be able to be employed in a number of other nursing settings as well as a regular nurse. Experience as an RN is required before you can apply to take the Transplant Nurse Certification exam through the American Board for Transplant Certification. The above areas of nursing will provide you with some of the basic skills you will need. You need to have a Nursing Diploma, an Associate of Science in Nursing (ASN) or a Bachelor of Science in Nursing (BSN). You need to take elective courses in medical-surgical nursing during your nursing training. Basically, you need to qualify as an RN before you can qualify as a transplant nurse. Consequently the educational path to becoming a transplant nurse is an extremely long one that you will be required to devote a lot of time and effort to reaching the conclusion of. To work in transplant nursing you will need to have an RN license. This is a license that allows you to practice as a registered nurse. To get your license you will need to write and pass the National Council Licensure Examination (NCLEX-RN). To be eligible for this exam you need to complete an RN training program which will take you anything from 2 to 4 years. This program must be accredited by your state’s board of nursing. Once the program is complete your state’s board of nursing must confirm your eligibility for licensure. Once they have done so you can schedule an exam date to take the NCLEX-RN with Pearson Vue. Your license will also have to be renewed periodically according to the nursing laws in your state. There are three main career paths and advancement opportunities that you can pursue through transplanting nursing certification. All three are offered to qualified transplant nurses by the American Board for Transplant Certification (ABTC). The position of a transplant coordinator, for example, is superior to that of a normal nurse and will therefore come with a greater degree of respect (as well as with a greater degree of responsibility). Additional training with the objective of becoming a nurse with a specialty in transplant nursing in mind could be a very good career move. The salary will, overall, be higher and you will receive greater benefits (depending on the state in which you elect to qualify as a transplant nurse). It is essential that you attend an accredited program if you want to be a nurse with a specialty in transplant nursing. This is because there are a number of programs out there that are not, in fact, genuine opportunities for students who want to be involved in this arena of the health care field. If the RN program or the occupational health program that you attend is not accredited you will be unable to sit the relevant examinations and therefore be unable to receive the necessary qualifications to become a transplant nurse unless you start a completely different program from scratch. The best way to determine whether or not a program is accredited is to consult with your state’s board of nursing. If the program is not on their list, it is not accredited. The higher your degree is the better it will look on your resume when it comes time to apply for a job and the more job opportunities you will have in the field of transplant nursing. The only licensure, per se, that is required to be a transplant nurse is your RN license. However there is transplant nursing certification that you will need to hold in order to become a transplant nurse. To receive this certification you will be required to pass the Transplant Nurse Certification exam through the American Board for Transplant Certification. Before you are eligible to write this exam you need to have a certain amount of experience, as mentioned previously in this article. There are some training programs both online and offline that you can engage in to prepare you for the exam and it is recommended that you do this as practical experience alone will not prepare you for the theory aspect of the examination. Certification also needs to be renewed at regular intervals. Because the theory and practical work required to get a degree in nursing can be separated so easily, it is possible for you to complete the theory side of your training online while working as a transplant nurse or a general RN in order to get the required experience. This allows you to continue working without significantly affecting your ability to study. Neither aspect of your life needs to be compromised. However it must be noted that these online programs also need to be accredited, as do face to face programs. Any program claiming to offer the entire course online must be treated with suspicion as the practical work you have to do cannot be taught through an online medium and must involve a high concentration of hands-on experience in an actual health care setting. 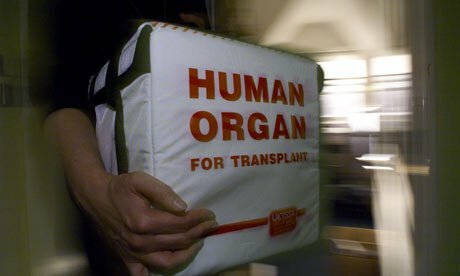 According to discovernursing.com, the following statistics apply to organ donation and transplant: “Currently, more than 100,000 people are awaiting organs in the US, and that number grows as our population does; the number of donors is also increasing every year“. This is good in terms of the job outlook for nurses who would like to specialize in transplant nursing. An increase in transplant procedures and an increase in demand for such procedures means an increase in the number of job opportunities that are available to nurses interested in this area of nursing. The nursing industry in general is one well worth getting involved in as it is a subdivision of the health care industry which always remains strong despite economic changes. Overall the job outlook is good and this is a nursing specialty that can be recommended. Differences in salaries depend on a number of factors. For one thing different states tend to offer different rates to all level of nurses. The amount of experience that you have as well as the level of education that you have received in nursing can have a significant effect on what you are able to earn. However, even at the lower end of the scale the salary is fairly impressive. Transplant nursing is an exciting area of nursing with which to become involved. As technology improves with each passing year, and as more and more people begin to accept transplants as a feasible option, more and more nurses will be needed who have expert knowledge in the domain of transplant nursing. It has become possible to transplant a wide range of different organs in order to preserve life and optimal functioning, meaning that the entire industry of transplant nursing is based on fairly recent technology and is therefore fairly young. Consequently, like with anything young, there is room for growth both for the industry as a whole as well as for the individual nurses working within the industry at a personal level.